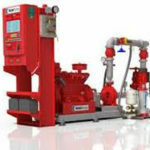 The purpose of Fire Hydrants is to supply water to the Queensland Fire and Rescue Service when they need to fight fire at your building, the regulations require fire hydrants be installed in buildings where there may be insufficient coverage from an inground street fire hydrant or where the building area is greater than 500 square meters. 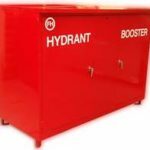 Hydrants can vary with servicing depending on if you have Hydrants only, Hydrant/Booster System or a Hydrant/Booster Pump Set, they can have a Six monthly, Monthly, Annual, 5 yearly and Annual flow testing. Please contact us regarding a quote for routine fire extinguisher maintenance, either call us now on (07) 3205 6365, or click here to use the contact form.